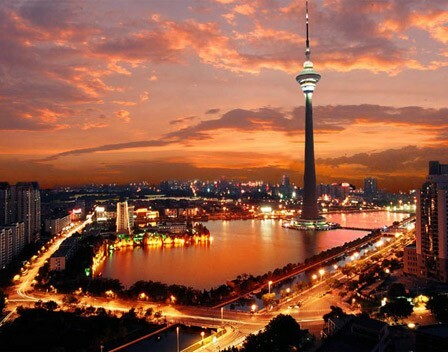 Tianjin is a good choice as a travel destination. With its cool sea breeze and fresh sea air you will definitely feel refreshed. Historical relics, natural scenery, temples, churches, assembly halls and commemorative sites of the Chinese revolution will illuminate the city's past, present and future, and give visitors a lot of things to do. The city is honored as a 'Building Museum' as it was occupied by nine foreign imperial powers before, leaving behind many buildings with extraordinary and exotic architectural styles, a real feast for the eye! It is a business street located in Nankai District of Tianjin, with the Temple of the Queen of Heaven as its geographical center. There are many stores along this street dealing in jade articles, antiques, traditional handicrafts, especially famous Niren Zhang painted sculptures and Weiji kites. 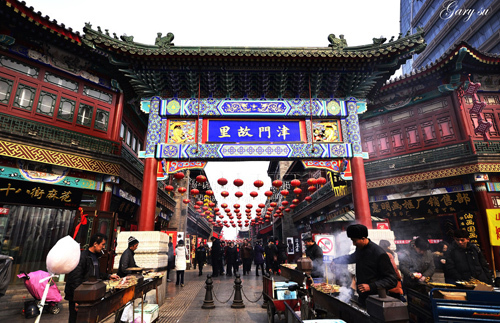 Besides, the street is a popular place to savor the delicious local snacks, such as the Go Believe stuffed buns, Erduoyan (the Ear-hole Lane) Fried Glutinous Cakes and tea soup. It is the fourth highest TV tower in the world after Toronto TV Tower in Canada, Moscow Tower in Russia, and Oriental Pearl TV Tower in Shanghai, China. It is located in Tianta Lake, like a sword thrusting into the sky. There is a restaurant in the tower at the height of 814 feet (about 248 meters) to 912 feet (about 278 meters) which can simultaneously accommodate more than 200 guests and provides a bird's eye view of the whole city. 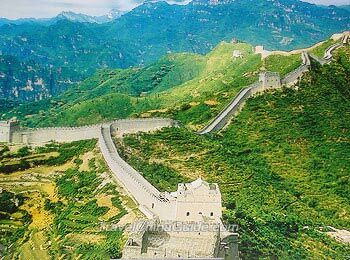 Huangyaguan Great Wall is an important military project of the Northern Qi Dynasty (550-577) and is located at the juncture of four cities, Beijing, Tianjin, Tangshan and Chengde. It is a wonderful example of ancient Chinese military engineering. Within the pass, more than 40 crisscrossing lanes form the shape of the eight diagrams, giving the town a nickname, the Eight-Diagram Town. In the center of the town, there is the Great Wall Museum. A marathon race is held at Huangyaguan every year in the middle of May, attracting thousands of runners.